As part of this month long series about WordPress Plugins, I’ve been digging deep to find some great WordPress Plugins to help you increase the navigation of your WordPress blog. Navigational tools include showcasing recent posts, related posts, most popular posts, posts by category, breadcrumbs, tags, and so much more. I’ve come up with some gems, but there are a lot of options out there. Please let us know what your favorite blog navigational tools are in the comments below. For tips on installing any of these WordPress Plugins, see How to Install, Configure, and Use WordPress Plugins. Related Posts are the most popular type of navigation and SEO WordPress Plugins out there. These offer related blog content to your readers and encourage them to stay a while longer on your blog. They also expose older posts to the light, extending their life. One of the most popular related posts Plugin has been WASABI Related Posts, which continues to work but the author is seeking someone to take over this highly rated Plugin. So let’s look at some other options until this one is updated. Similar Posts: WordPress Plugin compares the words in each post with each other to find related posts using the fulltext searching capability of the database. It adds a list of similar posts to your post editing screen allowing you to add or remove similar terms to generate a more specific list of related posts. Semiologic’s Related Posts WordPress Plugin is also known as “Terms2Post”. This related posts Plugin leverages the Extract Terms Plugin and MySQL’s full text search algorithms to identify related entries in a WordPress and create a list. WP Plugin: Contextual Related Posts displays the related posts links list right after the comment form. Post titles are matched to generate the most related posts. Related Posts Link WordPress Plugin allows you to manually control which posts go with which posts. It’s a nice idea for small blogs, but once your blog starts growing, you will want something more automatic. However, if you are into total control of your blog, and want to determine which goes with which, this will work for you. With UTW, you can also add related posts to your outgoing feeds. For more on customizing these, see Ultimate Tag Warrior WordPress Plugin for Dummies. There are several different ways to list your most popular posts on your WordPress blog. Before you choose a Plugin, you have to define what is meant by “popular”. Popularity comes from web traffic via page views or a post can be popular because it has the most comments. Or you can feature both. Posts can be featured as the most popular on your entire blog, or only the most popular within a specific category of posts. Think about how you want to showcase your most popular posts and then choose the Plugin(s) that will meet your needs. The Popularity Content WordPress Plugin by Alex King is one of the most popular Plugins for displaying your most popular posts. It uses page views, comments, and trackbacks, etc. to determine how popular one post is over another. It is simple to use and yet customizable. Top Posts by Category Plugin is another WordPress Plugin that lists the most popular posts on your blog, determined by visits and comment levels, sorted by category. You can choose between most popular by visit or most commented on posts. You can display them by category or globally. You can also control how many posts to display in the list and include the actual number of visits or comments for each post. WordPress Plugin: Referral Tracker, bsuite b2, WP Plugin: Site Statistics, and some other statistics WordPress Plugins will allow displaying your stats on your blog including the most popular posts. See Counting WordPress: Statistics WordPress Plugins for details. MostWanted WordPress Plugin uses the statistics from StatTraq to showcase your most popular posts. Top 10 Posts/Views shows the most popular posts based upon page views. It may not work for new versions of WordPress. Most Popular Categories By Post WordPress Plugin is a different twist on the most popular post lists. This Plugin list the most popular categories that get the most popular post traffic, directing visitors to your hottest discussed categories rather than just popular posts. 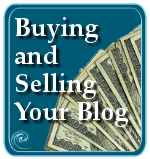 The most recent posts on your blog are the ones you just recently published. Some of these WordPress Plugins just showcase the most recent posts on your blog, while others allow customization to narrow the focus to the most recent posts in a category or within a specific date range. Some display only the title, while others allow titles plus the number of comments, date, or excerpts. It’s up to you to choose which one meets your blog’s specific needs to feature your most recent blog posts. The Customizable Post Listings WordPress Plugin is popular Plugin for listing the most recent and updated posts, globally or by category, by author, and more in your sidebar or elsewhere. The recent posts list can also include an excerpt. See Customizable Post Listings WordPress Plugin Guide for more information on how to use this Plugin. Latest Post From Each Category Plugin For WordPress displays a list of the most recent post from each category. It can be added to a post or page, or used directly in a Theme template file. You can choose the sort order, show or hide the dates, select the date formatting, show the first X characters of the content, display a link to the comments, and show comment counts, as well as other options. Level10 Blog Matrix WordPress Plugin is a very diverse WordPress Plugin which offers a wide range of sidebar navigation and information Plugin template tags. Recent Post lists can be filtered and showcased by author and category, and within a calendar. 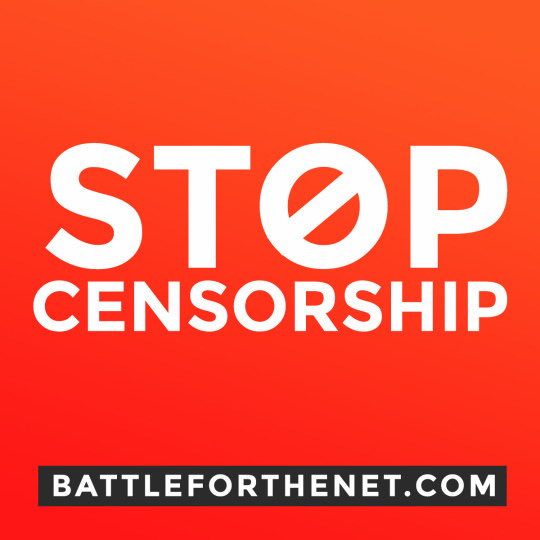 The “filter” process of what will and will not be shown is extensive, by author, category, date, archives, links, Pages, next and previous posts, and feeds. For example, you could showcase only the most recent posts by a certain author, or a certain author within a specific post category. Semologic’s Fuzzy Recent Posts Widget and All Things Seen and Unseen’s Recent Posts WordPress Plugin are other recent post Plugin options. Recent24 WordPress Plugin displays the most recent posts, comments, or trackbacks. I like offering a short list of random posts on my blogs which I often call “Article Highlights”. This showcases past posts to give them more life. The Customizable Post Listings WordPress Plugin (explained in the Customizable Post Listings WordPress Plugin Guide) and the Random Posts Plugin displays a random list of posts to help give exposure to your past posts. Archivist WordPress Plugin is a favorite of mine. It allows you to reach back into your past archives and pull out some oldies but goodies on the front page of your blog. You can set the number of posts to showcase, the time period, and showcase the posts in many different ways. You have a choice of listing the posts by title or full posts. If I could find a way to set it to excerpts and not full posts, I would declare this a perfect time capsule Plugin. You can read more about how to work with it on Revitalizing Your Blog’s Past Posts. The Timecapsule Plugin, originally announced on ProBlogger, shows off posts from your blog’s past, but I believe it is limited to a specific time period like 1 year ago rather than randomly, which is what the One Year Ago WordPress Plugin also does. Alex King has an interesting WordPress Plugin called Old Post Alert 1.0. When a post passes a a month “old”, the Plugin displays an “This is old” banner in the comments form. If you suffer from getting a lot of irrelevant comments on old, past due posts, this might help make your readers know that this is “old news”. WordPress List Posts in Category Plugin also gives you the ability to list posts by category, which is great to add to your sidebar or post meta data section. Previous Posts WordPress Plugin displays a list of the most recent previous posts from the current one, overriding the default single previous post listing in WordPress. An interesting new Plugin, bsuite_innerindex WordPress Plugin, adds navigation within a WordPress post. A lot of articles I write are broken up by headings for easier reading and grouping of related content blocks. The bsuite_innerindex examines all the heading tags in your post (h2, h3, h4, etc.) and adds a named anchor to them, then creates a “table of contents” near the top of your post for the sections in your WordPress post. This is excellent for long blog posts. Next-Previous Post IMG puts images in the next and previous post links instead of just the title. Just as Hansel and Gretel left a trail of breadcrumbs to find their way back home, so many blog owners want to help their visitors find their way around their blogs. Breadcrumbs help visitors navigate your blog by helping them keep track of where they are. Since WordPress blogs create “virtual” addresses, breadcrumbs help them find their way through categories and sub-categories and sub-sub-categories, etc. Some breadcrumb navigation WordPress Plugins include the post title, most do not. Breadcrumb Nav XT WordPress Plugin is probably the most sophisticated and customizable Plugin for placing breadcrumb navigation on your blog. It works with static front pages and “home” links, as well as customization of the character before the “crumb”. Hansel and Gretel Breadcrumb Plugin for WordPress requires permalinks be activated and creates a breadcrumb trail based upon the categories, posts and Pages the visitor has accessed along their path through your blog. Site Maps, not to be confused with XML sitemaps, are the table of contents for your WordPress blog. Various WordPress Plugins offer ways to display your posts by date, category, or alphabetically. The best site maps are those which act like a book table of contents, displaying your posts by category to direct people to related information and content. Unfortunately, most Site Map WordPress Plugins sort posts by date. The only time a chronological order of posts helps anyone is if they are following a series of stories, leading one to another and another in sequence. 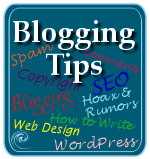 If your blog is a personal diary or story of your life, a book you are telling, chapter by chapter, or the posts on your blog are very time sensitive, thus unimportant a month later, then a date order is fine. For the rest of us, we need categories. Aluchinari – Categorical Links Page WordPress Plugin is based upon the Links Page plugin by Owen Winkler and features a list of your posts sorted by category. Smart Archives WordPress Plugin creates a chronological order of your WordPress posts as a site map. It does not offer a category order of your posts. 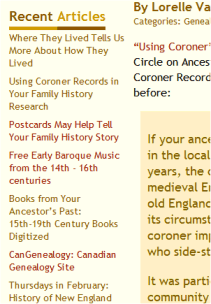 If you are writing a diary or more personal blog where chronology and dates matter, this is a good site map archive layout. Blix Archive WordPress Plugin offers a site map like the one features in the Blix WordPress Theme. This and Clean Archives Plugin displays a site map by monthly order create a date ordered site map structure. Sitemap Generator Plugin for WordPress is really a site map, not an XML sitemap generator. While the name is misleading, this WordPress Plugin creates a powerful table of contents style site map with a lot of customization, including support for multi-level categories and pages, category/page exclusion, multiple-page generation with navigation, permalink support, display order, comment counts, post dates, and many other options. While not a site map, IMM Glossary WordPress Plugin acts like a form of index and glossary. 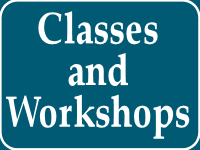 It helps you maintain a glossary or terms and jargon on your WordPress blog. When you save or publish a post, the Plugin scans the content for words listed in the glossary and provides a link to them to provide definitions for those words. An icon appears next to the defined word to indicate it is listed in the glossary. You can customize the icon, too. Tags are becoming a very important part of blog navigation. Unfortunately, a lot of people still believe they have to list tags to Technorati. Tags can link to anything from search results on your own blog and specific tag categories, to any site or search engine of your choice. You can make your tags link to Wikipedia, Yahoo, Google, TechCrunch, Wired, anywhere you want, including Technorati. Still, the most important navigational aid tags can offer is to link to related content within your own blog. The most popular WordPress Plugin for creating tags on your blog continues to be the Ultimate Tag Warrior. I covered it extensively in Ultimate Tag Warrior WordPress Plugin for Dummies. The next most popular tag Plugin is Jerome’s Keywords, named to put the focus back on the fact that these are “keywords” you are linking to, not just “tag words”. Simple Tagging WordPress Plugin is becoming another popular tagging Plugin with a lot of customizable features. It is now available as a Simple Tagging Widget. Cloudy: The Word Cloud Generator creates a tag cloud based upon the words in your blog’s content. Available also as a Widget. TagsLinks WordPress Plugin is an interesting “preview link” effect which pops up on a mouseover hover to showcase related tag links from social bookmarking, networking and tagging services such as del.icio.us, Flickr and Technorati. The visitor would click on a link to, say, Technorati within the preview box and would be taken to Technorati’s results for that tag. As with most of the articles in this month long series of WordPress Plugins, I’ve only scratched the surface of what is out there. Do you have some favorite WordPress Plugins that help your visitors move around on your blog? Share them. And if they are included on this list, tell us why your blog can’t live without them. This entry was written by Lorelle VanFossen and posted on February 21, 2007 at 3:02 pm and filed under WordPress, WordPress Plugins, WordPress Tips with tags 30 days of wordpress plugins, how to use wordpress, wordpress, wordpress help, WordPress News, WordPress Plugins, WordPress Tips, wordpress tutorials. Bookmark the permalink. Follow any comments here with the RSS feed for this post. Post a comment or leave a trackback: Trackback URL. Lorelle, I’ll throw in my META Relationship Links plugin for examination, which is sort of a navigational aid for, uh, the meta heads out there. Hey, just seven more days! Works for me. Add away! You are the absolute wizard of WordPress Plugins and all things WordPress. Thank you for being such an inspiration and blessing on the WordPress Community. You are my hero! Thanks. Seven? Oh, yeah, by the calendar. I was counting 30 days worth. Oh, man, I may have to post two a day to catch up! ARGH! Thanks for reminding me. Great Post! Finally have related posts on my single pages, and I expect my pageviews to rapidly increase. Thanks, Lorelle — this is an amazing list. I was having trouble getting Alex’s Popularity plugin to configure my sidebar’s “Most Popular Posts” section correctly; I put in Macalua’s Top Post by Category, and it works like a charm! You truly are the WP Queen. hi, thanks so much for this fantastic post! 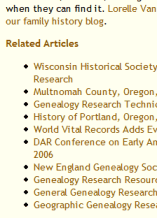 I’ve installed the related articles plugin and the sitemap thanks to this site – it looks great! Thanks, Lorelle. You just saved me a heck of a lot of time by putting together this post – I think these are pretty much essential for any blogger. Thank you very much for the UTW Tip! Thx a million for the UTW template code for related posts – golden! hello Lorelle, it’s me blluepanjeet again. I tried the contextual related post by Mark but it seems it appears after all the comments just below the comments form. I tried moving it just right after the post upon the instruction of the author on his plugin page but it still doesnt work. I contacted mark (the plugin author) already but he hasn’t replied to my queries. anyhow, maybe you know any trick or code that can move the related post just immediately after the post and not below the comments area. Thanks again Lorelle. I assume you read: How to Install, Configure, and Use WordPress Plugins. There is the possibility that you put the tag in the wrong place. Check again. Also, make sure you do a total page reload (CTRL+click f5 key with mouse in IE and CTRL+Shift+R in Firefox) to make sure your browser’s memory of the page is “erased” and cleared. Other than that, you have to wait for a reply from the author or try another Plugin. I’m not familiar with how the Plugin works to help. Lorelle, I can’t tell you how many times I’ve usd this page as a reference… but now I need some help finding a plugin that I can’t quite get the keyword right to find. Is there a Plugin that you know of that would collect the author’s most recent comments to be placed in a post? So if you went to a post, it would display the author’s most recent comments at the bottom? It looks like you have all the keywords. That is what I would use. I tried it in this Google search and it looks like there might be some possibilities. Personally, I don’t like seeing comments at the end of posts as they are out of continuity. “That’s a great idea” and “Thank you for your comments” followed by “You might have something there. Let me know how it turns out” just doesn’t add to the content of the post. I’m not even a fan of lists of most recent comments because they are also not threaded in context, just comments disconnected from each other. A link to the author posts would be of much more value to the reader, and help the writer establish themselves as an expert in their subject matter. That’s nice, and I appreciate the kind words. However, you don’t have to put me in your blogroll unless your blog is about WordPress and blogging. Keep those in your blogroll directly associated with your blog content so your readers will appreciate it more. Thank you for this great list. It has been very helpful! There is a way to display the post date with related post wasabi plugin, someone can help me? New widgeztized Version of Popularity Contest W-popularity is released. Porvides “Most Popular” Widget for the sidebar. Great post, I also use ultimate tag warrior for tagging. And I recommend spam karma 2 to stop spam. If you are using the Ultimate Tag Warrior WordPress Plugin, your blog is out of date and vulnerable to security risks and hacking. Spam Karma is awesome, but UTW is defunct and replaced by the built-in tagging in the latest versions of WordPress. Great Post! Will sure make use of it! Wow… I was looking for Related Posts WordPress Plugins and I came across your post. I was expecting a review of just one or two related posts plugins, but dang you gave a bunch of choices. Nice tip on the Ultimate Tag Warrior hack. You are welcome, however, the Ultimate Tag Warrior WordPress Plugin is no longer supported nor maintained and will not work in current versions of WordPress. Tags are now built-in with WordPress. If you haven’t upgraded, I highly recommend that you do as there are hackers now searching for older versions of WordPress and doing harm. Useful post, I’ve been looking for both related posts plug-ins and anything to do with sitemaps. THanks! Do you mean site maps or sitemaps? A site map is a table of contents for your blog or website. A sitemap is a hidden file on your blog’s server that directs search engines to all the pages on your blog, helping them index your site’s content faster. Just want to make sure you know the difference. wow.. great list. I love seeing all the related plugins together, with a quick blurb on each… it makes choosing one so much simpler. Cheers. Wow! 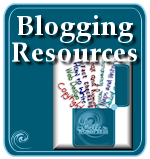 What a great site Lorelle with so much information for WordPress bloggers. Thanks very much, I’ve bookmarked your page as there is so much to follow up on. “This WordPress plugin provides placeholders for configurable dynamic lists of posts. The placeholders can be used in posts, pages or widgets, and will get replaced to the list of posts. Of course, it is also possible to user the lists directly in your template files. You can define the placeholders yourself and configure the list that should replace it. You can decide to list posts of a specific category, author or tag. You can configure how to order them or what status the post has to have for example. Of course you can set the maximum number of posts to display. You can configure the html output for before and for after the list, customize the string for each entry of the list, and set a string to display if there are no posts. Thank you for letting me know about your Plugin, but I am curious about how to compares to Customizable Post Listings WordPress Plugin. Amazing collection. You must have spent days to get this out! thanks a ton. Can the Ultimate Tag Warrior be used on version 2.5.1? No. Tags are now built into the latest versions of WordPress. I’m looking for navigational plugins for pages. I want my blog to look like a website, and I want the option of drop down menus and sidebar collapsible menus. Any suggestions? You don’t want Plugins. You need a web designer, since the elements you are looking for are found within CSS designs. By the way, a website is a blog is a website, and a lot of formerly-known-as-websites are moving to a blog look due to the increased usability and standard format. Might want to reconsider, though the design elements you are looking for are typically found on blogs, too. 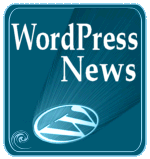 This is a great list of resources for wordpress, thanks a log for sharing. I’m going to check some of them out. This is very nice and helpful list for wordpress users, i’d say specially in SEO purpose. However i was looking for adsense place holder plugins, so if you add that sort of plugin in this list, that would make this page more pretty. nice article/resource. On one of my blogs, I have a category with monthly newsletters. Each newsletter is a post within that category. In the sidebar of each newsletter post (sidebar.php is included via single.php), I would like to feature the posts from the previous month. Problem is, with a generic function such as “show last five posts”, this list would change each month. What I need is a function that shows the monthly archive corresponding to the post’s date stamp. Let’s say a newsletter post is published on January 28, 2008. The function in the sidebar should always show the posts published in January 2008. Using the same sidebar.php template, a post published on March 29, 2008 should show all posts from March 2008. 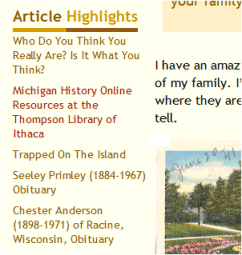 You want to feature the newsletters, in chronological order, on each post. Do it manually in the post itself. Just keep a running list of the links in anchor tags and paste them in at the bottom or within the post in each issue. I do this all the time on similar posts. It’s controllable and easy. I write in a text editor, NoteTab Pro, and it’s fast and easy to do. The next and previous post links automatically show the next and previous post in chronological order, so you could highlight those within the Theme and change the code so it only displays the posts within that particular category. You can also look for Plugins which show only posts within a specific category when viewing a post in that category. Unfortunately, that would only show all of them, not the ones before and after the current post. That’s my ideas. Anyone else? hi 🙂 what do you use for your most popular list? The Most Popular Posts widget is a built-in feature for WordPress.com blogs. Within this article are examples of WordPress Plugins that may work for you. There are also new ones, so check the WordPress Plugins Directory for new and updated most popular post Plugins. I am lookijng for a wordpress widget / plugin that displays recent posts, comments and popular posts all in one unit. This is done with CSS and I’ve heard that there are Plugins that will do that, too, but the “trick” is CSS, not Plugin. You can read about the technique in the WordPress Codex in Styling Lists with CSS and Dynamic Menu Highlighting to help you get started. I came to your blog in search of some helpful plugins ( I visited many 🙂 ), this is one of the most beautifully explained plugins blog. I really admire your writing skill. I am new to this blogging world and my blog is just couple months old, hope I can take couple of clues from you 🙂 . I am trying to get as much information about wordpress to make my task easier. Great blog.. keep it up. I am pretty new to WP and I’m trying my hand at developing a website with WP as the CMS. I need to dynamically generate a list of Related Pages at the bottom of each page. So far I’m using the ‘tags4page’ plugin to generate tags for each page. Can you point me in some reasonable direction wrt related pages as against posts? Plugins or otherwise? There are many varieties of “related posts” WordPress Plugins. You don’t want “related Pages” as WordPress makes a distinction between a post and a Page. See WordPress Pages: Exploring the Pseudo-Static Pages of WordPress for specifics on that. As stated here, and found on the WordPress Plugin Directory, there are related post Plugins that search and list posts based on title keyword matches, tags, or content keyword matches, and there are some that link through the whole web, recommending related posts off your site, which I do not recommend. I want total control over my related posts so I create them manually on this site. I’ve used several Plugins for my different sites, but you have to decide which works best for your blog’s needs. Hi I read the post. So I support a most popular posts plugin or a related posts plugin installed in the wp. 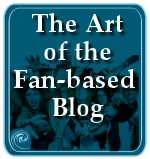 Our blog readers can see other posts relating to the topic of the post they. Some very nice plugins in here. Thanks for the great exhaustive list. I am looking for a sidebar widget (not sure if it is a widget or not) that allows me to have Most Popular, Most Recent and Most Commented all within the same text box. Users can then scroll over or click on the 3 Topics to have the Top 10 within each category. Any help would be greatly appreciated. I would like something similiar on my blog and am not sure if it is a widget or simply a matter of coding it. If coding, can someone help me out or point me to the code? Putting things into a “box” is CSS. Just wrap the widget information into a DIV and style it under the hood. Or check out the Customizable Post Listings WordPress Plugin that will also help you do this much easier. Thanks for this wonderful list, finally I got something that miss from my blog. good post,but i prefer a small piece of code is better than a plugin just copy paste where ever you need and see the magic,any way keep up the good work. really great list ,which is the best thumbnail related post plugin? There are no “bests” only the one that works with your needs. Hi to every body, it’s my first visit of this web site; this weblog contains remarkable and genuinely excellent material in favor of visitors.